I just remembered, I can write a post and schedule it for later. I know I know, WordPress has been able to do that for a while now. I guess I’m sort of an ignoramus about a lot of things besides basketball, but whatevs! Rockstar aka CT – Villanova. She told me she had a new system that was surefire, but it’s her old system, only instead of a Sims character, it’s a Sims family — Villanova is a family name in her Sims town! Gawd, if she loses, that family is going to suffer the wrath of a vengeful God. Like Charlotte. Oh I got one more, just under the wire. I always want Pitt to win, but they always choke. Not this year!! yeah, 15 minutes to pick and it looks like i’m the only picking 1 seeds to go down in flames!!!! 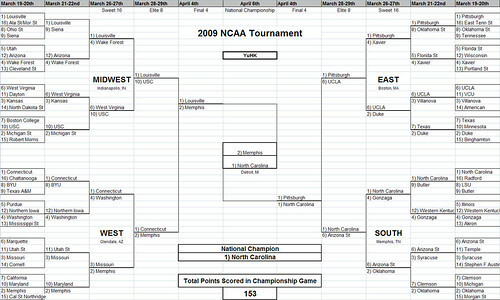 Connecticut and Pitt were my initial pick, but i figured people would be picking Pitt to go all the way and changed it. Oh man, so many people here picked Maryland over Cal. cos Maryland roxors! :) Hello, terps = cute! 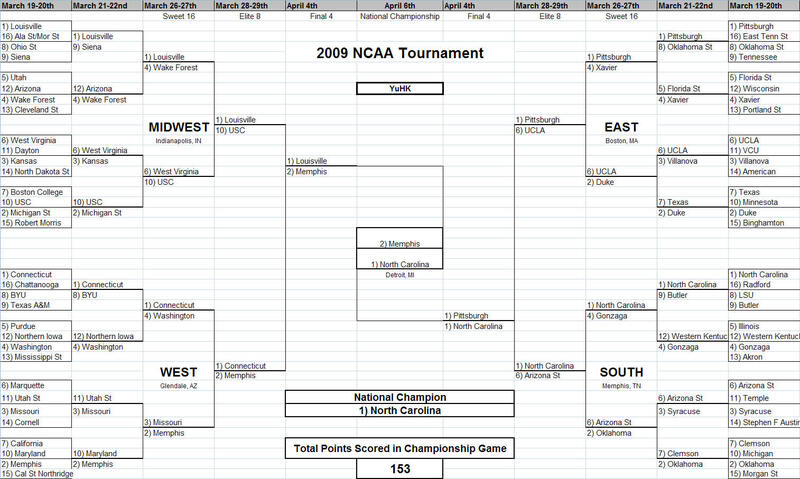 This picking against the 1 seeds could go really well or really badly… I was too chicken, alas.